Hi! 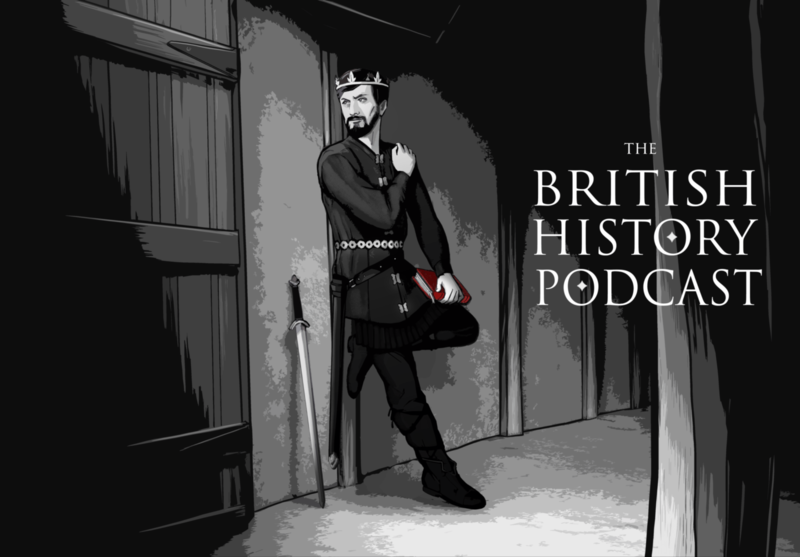 Welcome to the British History Podcast. My name is Jamie, and this show is a chronological retelling of the story of Britain, from its very earliest days when prehistoric man shared the island with Giant Deer and massive earth grinding glaciers… all the way to the dawn of the Second World War. This show focuses upon the people, the drama, and the real life events that shaped and molded this island into a global super power. The stories that you’re going to hear in this podcast continue to shape us today and many of the lessons learned by our ancestors still apply to us. Next 2 – Invasion of Giant Deer, Cannibals, and Celts! Have just started listening to your podcasts. Thanks very much, really enjoying them so far. What is your background in British history? I’m glad you’re enjoying it! As for my background, I’m a bit sheepish to say that this is all just purely personal research. When I know I will be travelling, I save up a few podcasts and really get into the story. I live near Worchester and I didn’t know the history went back to King Alfred. So deeply enlightening, wow! Hello! I just started listening to your podcast today and am really enjoying it so far. I’m a big fan of history but I’m afraid that I have a popcorn brain and reading history books bores me quickly. Thank you for sharing your knowledge in a concise, comprehensive podcast series. I love your podcast! I have just discovered the world of podcasts and couldn’t believe my luck that there was one on British history – one of my fav subjects. I am looking forward to hearing them all. This is really great. I’m looking forward to listening to the whole series!! Personal research is a great launching point for someone wanting to learn. :) Next, I have to take a look at your reading list. I’ll be adding a lot of books to that list in the coming weeks. Amazon limited the number of books I could put on there. So I’m going to be putting up the suggestions in a different format. You have also convinced me that I need to look into changing my degree. I am currently reading English Language at Edinburgh (the history and evolution of the language, from its Ango-Saxon origins to present day, is my main interest), but as much as I enjoy English, I think straight up history (well, social history) is where my true interest lies. I have been fascinated by your podcasts, and we’ve only just begun our journey though time. So thanks for helping me to make up my mind! Also, did I read somewhere that you come from North Wales originally? I’m half Welsh, my father’s family being from Abergele in North Wales. I wonder if you know it. As for the accent, I don’t know why anyone would object! I wouldn’t expect to hear a podcast on Roman history in Latin, after all. b) I understand from previous posts that you are an amateur too? Impressive. You seem exceptionally well informed – I had assumed you were one of those educated yanks living in rainy Blighty in some red brick university somewhere? Keept it up – I’ve loved all those podcasts I’ve managed to listen to so far. I’m up to the 9th legion and you’re right – the movie was crap on every level. Worse, even, than Clive Owen’s King Arthur which at least entertained (a bit). Hi John! I’ll definitely get to 1066. If for no other reason that I think that one of the most tragic moments in British history is at the scene were Harold is stood victorious over the bodies of his half-brother, Tostig, and his army… and just at that moment he gets word that William had invaded in the south. Oh man… Clive Owen’s King Arthur… That was quite a stinker. Especially when they tried to turn Gwenhwyfar into Boudica. Heh. Thanks for listening (and also for choosing the podcasts over Entourage)! Oh I can tell I’m going to enjoy your 1066 podcasts… I am fairly certain it was Hardrada’s army onto which the despicable Tostig tagged his vindictive self… I rue the day England turned southwards and, culturally at least, started to align itself more with the continent rather than the heady days of Anglo-Saxon england where we looked decidedly in the direction of N. Europe/Scandinavia. If (a) I believed Harold was killed by an arrow (which I doubt) and (b) I could time travel I would certainly go back & provide the great man with a pair of ballistic goggles. Many of the upsides of which would be no silly Norman words like “mutton” or “venison” or “beef”… we would simply be saying “sheep”, “deer” and “cow”. Much simpler all round… & why has no-one made of a movie of this great historical tale? I love, love LOVE, your podcasts. I am also an anglophile and I love listening to your viewpoint when presenting your information. I used to teach history to sixth graders. Unfortunately, there was very little reference to British history, so I made up my own unit and taught it at the end of the year, so the kids could have a bit of extra-interesting history to take into their summers. Good for you for taking the initiative and adding historical material that has been left out of our text books! I’m so pleased you’re enjoying the project. Thanks for listening! I stumbled upon the podcasts here and have loved them so far! I find it funny, actually, I have been writing a bit about British History (http://british-history.net), much for the reasons that you outlined in this first podcast. I’m doing my own research and learning as I go, but like you, I’m also pursuing the law (currently a 1L in school). Time is somewhat scarce, and I fit in history where I can (I have a B.A. in history), but I absolutely love it. Thanks for the interesting podcasts and I will be checking in frequently as new ones come out. I’ll also link to this on my site, as it’s such a great resource. Thanks again. Heard you on Ray & Cam’s Life of Caesar podcast. So now your podcast is added to Revolutions and Life Of Caesar as my 3 podcasts. Excellent work! Thank you! I was really enjoying the podcast and was up to episode 80 when you had the server problem/switch over. Since then only the most recent episode will play on my phone. I use beyondpod for my podcasts and all other shows I listen to work fine. Any suggestions or ideas? I just tested it on apples Podcast App and on Downcast and it seems to be working just fine. Is there a way in BeyondPod to refresh feeds? Maybe you can unsubscribe and resubscribe if all else fails? Yeah I have unsubscribed and then re subscribed but no luck. I will maybe try a different podcast player. I can’t subscribe via iTunes either. It seems to do this with some podcasts. I can only get the last one. Is there some easy way to come to your site and start in chronological order? All the episode so are available here. And you can find a link to the next episode at the bottom of the episode you’re listening to. Re iTunes. Make sure you’re updated. If that doesn’t work look at my FAQ for more suggestions. Hi Jamie, I just wanted to leave a few words of encouragement. I stumbled across your podcast a couple of weeks ago and am steadily working my way through them. It’s a nearly impossible task to keep everybody happy, but don’t let them get you down. Haters gonna hate! Keep going, it’s good stuff. Hang in there Russell, I found BHP last summer and have been working my way up through the old episodes. I’m savoring the last 4 till I’m caught up, and trying to adjust to the pace of having only one new episode a week, once I’m up with everybody else. Many a commute has been shortened by Jamie’s pub-side banter and eye for a good tale. Now I’m trying to find a way to work “psychopathic peacocks” into my everyday conversation! I am a person of no note who is, and always has been, very interested in British history. Having found this podcast only around twenty minutes ago, I’ve naturally only had the time to listen your introduction, but I have found it very engaging and welcoming. I would like to thank you for that and I look forward to hearing what you have to say with real enthusiasm. Hi Jean, I hope you enjoy the rest of the show! Sometimes I have to scan loads of documents at my work. I listen to your podcast during this boring work and now I look forward to scanning. I’m trying to catch up and right now I am at about 400 AD and I am listening to Theodosius and Theocracy. Thanks for putting this info out. You’re almost to the point where the show gets really fun! Romans are neat, but the Anglo Saxons got into some serious shenanigans. We have kings sleeping with nuns, we have kings threatening the Pope, we even have kings making Charlemagne throw a hissy fit! Thanks for listening. Wow, Rodrigo, this is has to be one of the kindest messages I’ve received! I’m very honored that you think of the show so highly. Thank you so much! I was recently introduced to your Podcasts. Having listed to some recent ones, I am now going back to start at the beginning. I sincerely want to thank you for creating such a great archive of entertainingly narrated History. You are clearly passionate about your subject, and this comes across so well in your podcasts. Please keep it up – hopefully you know that you bring a lot of pleasure (and education) to people’s lives with what are doing here. I for one am extremely grateful! Sooooo excited! Just discovered your podcast (May 2016) and have gone back to #1 to start properly at the beginning (♫ a very good place to start♫). Thank you thank you thank you! Having discovered BHP, and spent innumerable hours binge listening, I’m caught up and find the weekly pace an unwelcome adjustment! (Hissy fit ). Seriously, my deepest fear is that you will stop. I’ve joined your group for the year, and wonder if you could take a wee detour to discuss lingerie? Lingerie and shoes. If I were a middling miss in London, or shepherdess on a rural farm, where would my lingerie and shoes come from? Made of what fabric? Made by whom? Washed how frequently? On which cycle of the washer? Machine dry? Men’s and ladies. Wealthy and middle class people. Also, were people nearsighted (literally) back then? I read where Simon De Montfort was. Near sighted archers could create quite a bit of havoc. Why does it seem that war leaders rush to do battle and then realize they really didn’t have a plan, so halt! let’s brainstorm, shall we me hearties? I’m reading Marc Morris and Sharon Kay Penman. Elizabeth Chadwick. And Dan Jones as well. I’d like to know more about horses: what is a sumpter horse? A palfrey? Literacy rates? As soon as these facts are known, I’ll be ready to send invites to all your listeners to gather at your pub for a pint or so, wearing our lingerie and shoes, riding on our pal fries and Sumter horses. I do not want to hear the word “wench” bandied about. Things might get rowdy. All this hinges on your research. I realize I write in chaotic fashion, but everyone I know has ADHD so we really get each other. If you need help discerning the main themes of my letter, ask a 5th grader to read it to you. 5th grader with ADHD. One last question. Did the wealthy have good dental hygiene? What about the less wealthy? Okay. I’m ALL IN with BHP. Bring it!! Jamie, I want to listen in order all the way through but can’t find episode 3! What simple thing am I missing? Hi elizabeth, I’m not sure what issue you’re running in to. I had a look on the site and also on the feed, and episode three is right after episode two. It should be in your podcast feed, and if you’re on the site just click on the link at the bottom of episode 2 that directs you to episode three. If you’re using an app and it doesn’t appear, you might want to try refreshing or resubscribing to the feed. If it still doesn’t appear, make sure that you’re looking at the feed (not just what you’ve downloaded), and that still doesn’t work you might want to contact your app’s customer support. I’m absolutely in love with your work! After listening to ThoR I thought history podcasts couldn’t get any better, but your delivery is just amazing. It’s going to be a long and wonderful journey to catch up. I’m sure someone has mentioned this before, but the point about “half of your ancestors being women” is actually stronger than you let on. Due to unequal reproduction, closer to 60-70% of your ancestors are female, so there’s even more reason to talk about them. Just came across BHP over the last couple of weeks and am really enjoying listening- super entertaining-and really informative. Thank you so much for doing this!